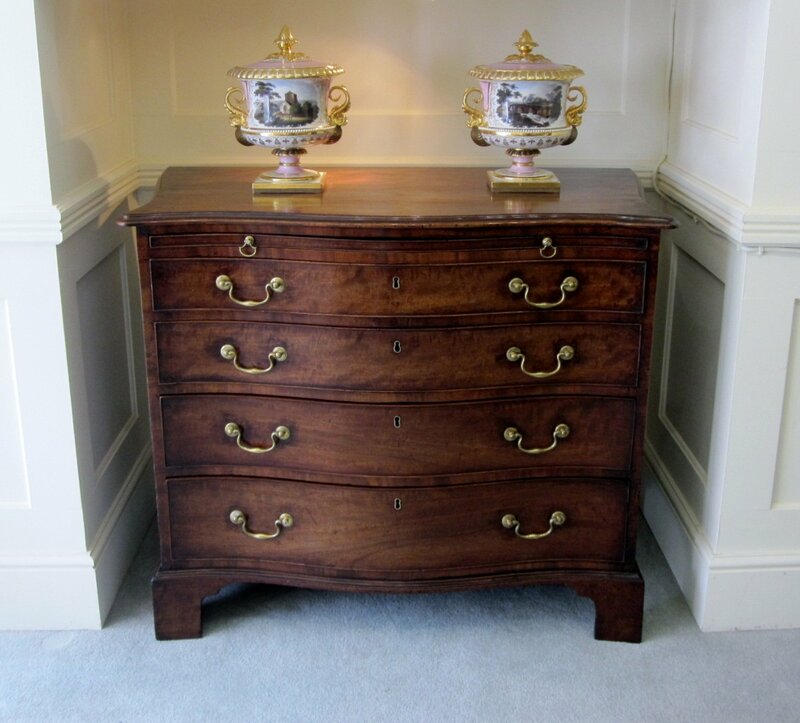 A GOOD 18TH CENTURY MAHOGANY SERPENTINE CHEST. GEORGE III, CIRCA 1770. The moulded top with a serpentine shaped front and sides over a conforming case with a brushing slide and four graduated drawers retaining their original swan neck brass handles, and over a moulded base raised on shaped bracket feet. The whole of a good colour and patination.